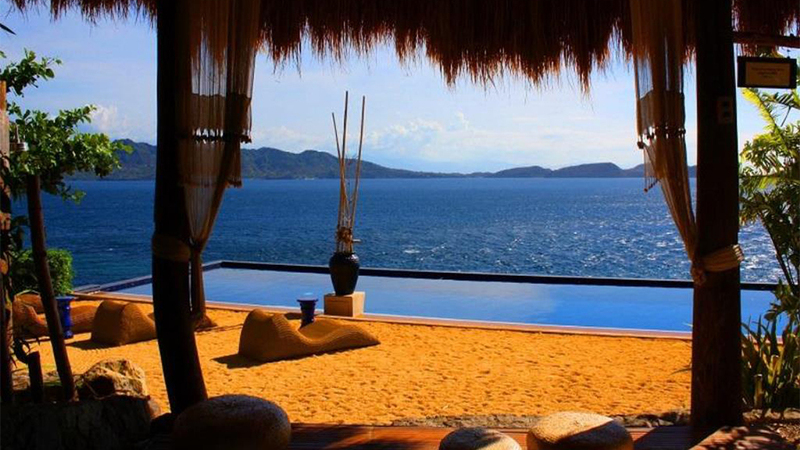 Situated on a hill, and facing the crystal blue sea and the sparkling white sands of Batangas, the 5-star Vivere Azure Resort is a place most vacationers dream of. 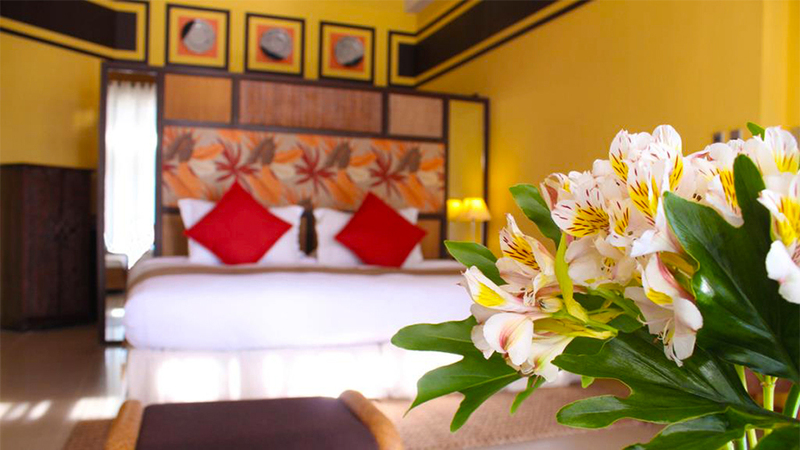 Its landscaped gardens and spacious rooms make it a coveted resort for a break. The smell of clean sea breezes, delicious meals, and the awesome sea view is just perfect for couples and families. The Vivere Azure Resort has a superb location. 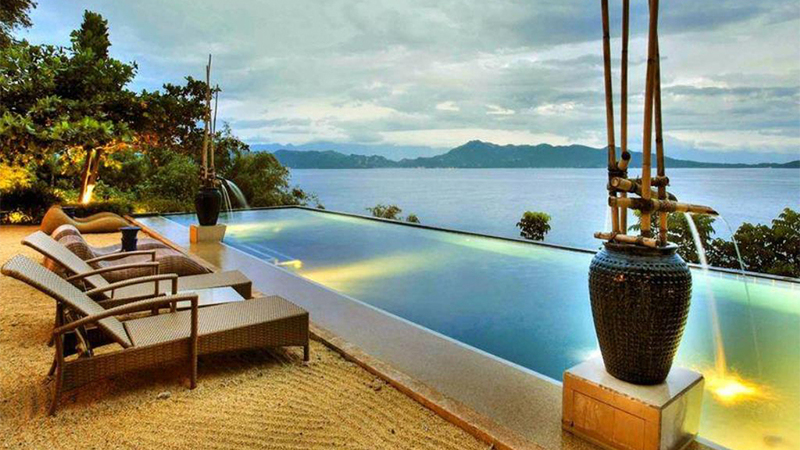 It is situated on a hill overlooking the white sandy beaches of Anilao, Batangas. In addition, its spacious, upscale suites with their sea or garden view, plenty of amenities, and private beach are obvious attractions of the Resort. Wi-Fi access is available in the public areas of the Resort. For those who prefer to be indoors in the afternoon, there is a large games and billiards room. Sunbathers can relax at the poolside and absorb the beautiful tropical atmosphere or relax with an aromatherapy massage. 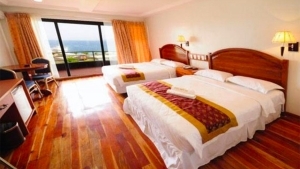 Superior Ocean View Suites, Deluxe Ocean View Suites, Premier Suites, and Premier Ocean View Suites is the choice of high-end accommodation available at the Resort. The suites are very spacious and have an excellent view of either the seaside or the artistically landscaped gardens of the resort. 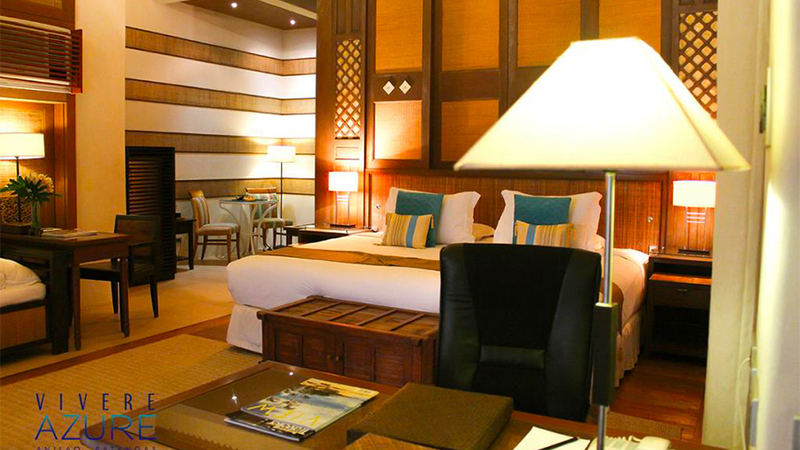 The housekeeping service is beyond reproach and the spacious rooms are maintained very clean. The in-room amenities include a coffee maker, a well-stocked refrigerator, bottle mineral water, Plasma TV, safety box, and air-conditioning. Being an upscale resort, the minimum tariff is USD$300 and above. 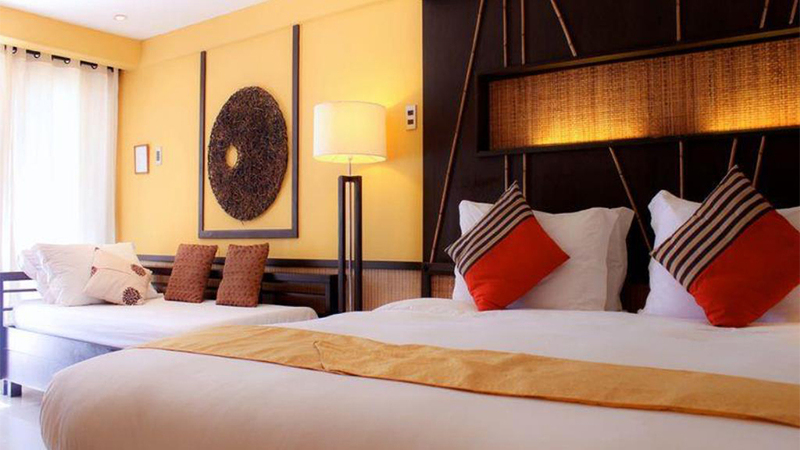 The Vivere Azure Resort has, besides the basic amenities, other interesting in-house facilities like the Lounge, Edge Infinity Pool, Aromatherapy Spa, Z-Café, Billiards, Overlooking Cabanas, Spa Massage. The Wi-Fi access is available only in the public and shared areas. An aromatherapy massage by well-trained massage therapists after a long day of trekking will relax and de-stress you physically and mentally. 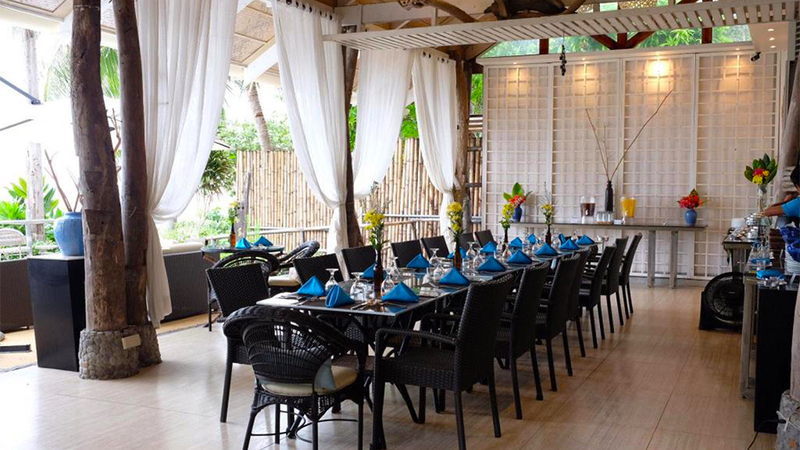 The in-house restaurant offers gourmet meals as well as some of the local seafood specialties. This resort is just right for a tropical vacation or a weekend getaway. Besides the awesome games room, spa, and other in-house entertainments and relaxation facilities at the resort, the guests can also indulge in outdoor sports like diving and snorkeling. 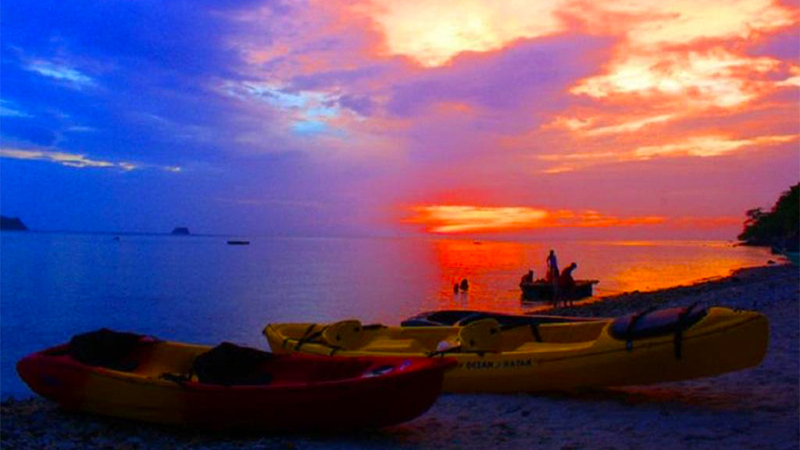 The beach is a great place for kayaking. Because of its hilly landscape, the resort guests also like to go trekking, hiking, camping, and island hopping by boat. If you want the combined pleasure of a hill resort and beach sports, don’t forget to book a room at the Vivere Azure Resort, Batangas. 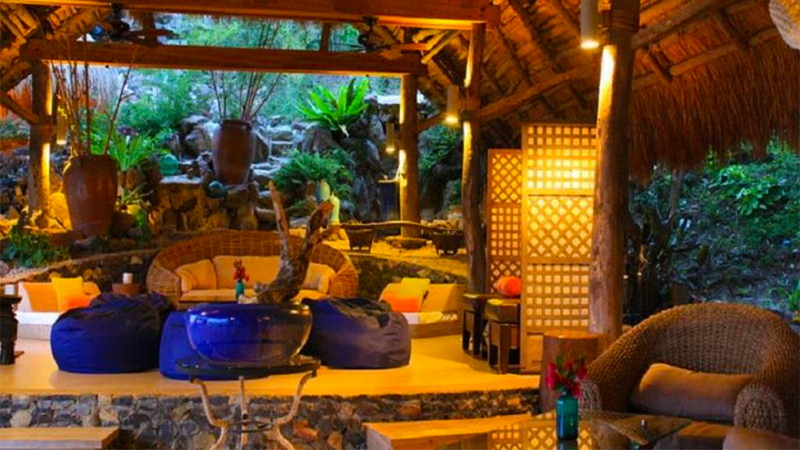 Experience the beauty and calmness of the 4-star Sea Spring Resort in Anilao, Batangas with its beachside, natural hot springs, and great amenities!